Most Americans have been greatly influenced by Hollywood, T.V., and the Media when it comes to their understanding of Native American Culture. Not all of it is without merit, however, much of what we have been led to believe is sensationalized nonsense. What is Native American Culture? It has taken many centuries of a rich history full of struggles, confrontations, war and peace, victories and defeats to create such a diverse culture as we see in the many different Tribes of the modern Native Americans. Their heritage is sacred to them and, to this day much effort is given to preserving their traditional customs from generation to generation. These customs, beliefs, and ways of life are of course different for each of the Tribes. Because of forced removal and relocation together throughout the years, many Tribes now share similar cultures. Items such as the peace pipe, moccasins, tomahawk, teepee, totem poles were, and are, indeed part of Native American Culture but, no one single Tribe made use of all these things. Rather, they are a combined collection from many different Tribes and Native American Culture. Over 40 stock core languages developed in North America as the Indians settled throughout the continent and each Tribe developed their own dialects over many centuries, this grew to well over 250 different languages. At first, they were nomadic hunter-gatherers but there is evidence that agriculture was well developed even 4,000 years ago. 2,000 years ago Indians were already growing corn, squash, and beans along the East Coast. 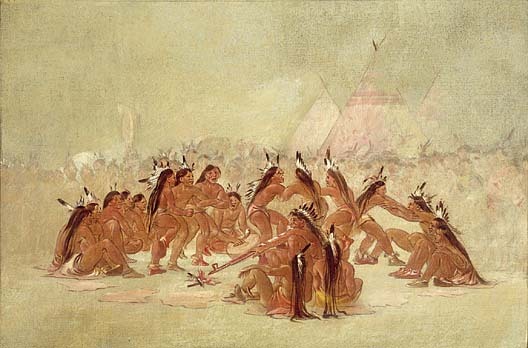 The best estimates are that before the Europeans arrived there were around 10 million Native Indians in North America. Today their population (2010 census) including Alaska is 4,119,301. The area of land, climate and available natural resources where each Tribe would locate obviously influenced the way their lifestyle and culture developed. This along with the great distances between the Indian Nations and Tribes accounts for the diversity of their cultures. Originally, Europeans tried to classify distinctively different areas of habitation for each of the Native American Tribes that lived there. In North America, 10 such cultural areas were identified. From North to South they were the Arctic, Sub-Arctic, NorthWest Coast, Central Plains, NorthEast, SouthEast, Plateau, Great Basin, California and the SouthWest. This classification in no way accurately portrayed the cultural differences in any one sector that existed because they differed greatly even from Tribe to Tribe and not just sector to sector. In today’s society, these cultural areas are often referred to as the Reservations American Indians still live on, spread through the Country. Some of these areas are quite large with hundreds of thousands while others number just a few hundred individuals. Much diversity remains among the different Tribes even today. 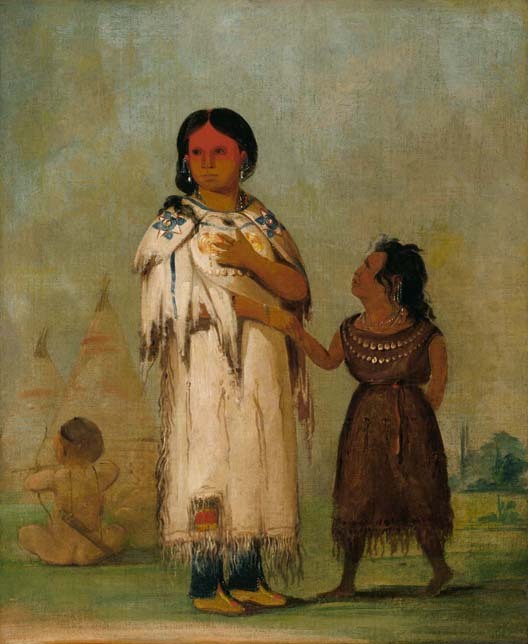 Throughout their history, though, Indians formed alliances and their cultures merged, or they were forced to cohabitate in close proximity and such cultural exchange became inevitable. Therefore, it is quite remarkable that so many Tribes have managed to retain their unique customs, rituals, religious beliefs and cultural diversity. The pressure to assimilate into regular society is as strong today as it was 500 years ago when these new colonists decided these savages need to be educated and civilized and made to live like we do. There are 326 separate Indian reservations in the United States ranging with a land area of 1.3 acres for the Pit River Tribe used for a cemetery in California, to 16 million acres for the Navajo Tribe in the 4 corners region of New Mexico, Arizona, Utah and SouthWest Colorado. Keep in mind that there are 567 recognized Tribes by the U.S. Government; therefore, not all Tribes have reservations and many reservations have more than one Tribe. Most of the 50 States have at least one small reservation so it is hard to define a particular region as such to identify a specific Indian Culture. However, the regions with the greatest concentration of Native Americans by the numbers (300,500) would be the Navajo Nation first, as mentioned before. In no particular order here are some examples of large Indian Reservations. The Uintah and Ouray of the Northern Ute Nation in Utah with 19,182 persons on that reservation. Then the Tohono O’odham Indian Reservation in Arizona 10,787, the Cheyenne River Reservation with 8,470 in South Dakota. Wind River Reservation in Wyoming with 23,250, Pine Ridge Indian Reservation in North Nebraska/South Dakota with 15,521, the Osage Reservation in Oklahoma with 44,437 and in Washington the Yakama Indian Reservation with 31,799. We must not forget the great contribution of the Navajo in World War 2 with their Code Talkers. They fought with the U.S. Marines against the Japanese and confounded them with their radio communications using their native language. You are encouraged to visit these great people if you ever get a chance. They operate a Navajo Cultural Museum in Window Rock, Arizona.